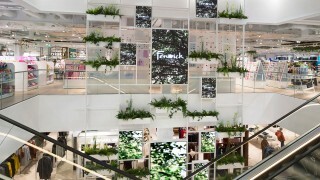 Bracknell’s brutalist architecture has been banished for a new-build shopping complex called The Lexicon. 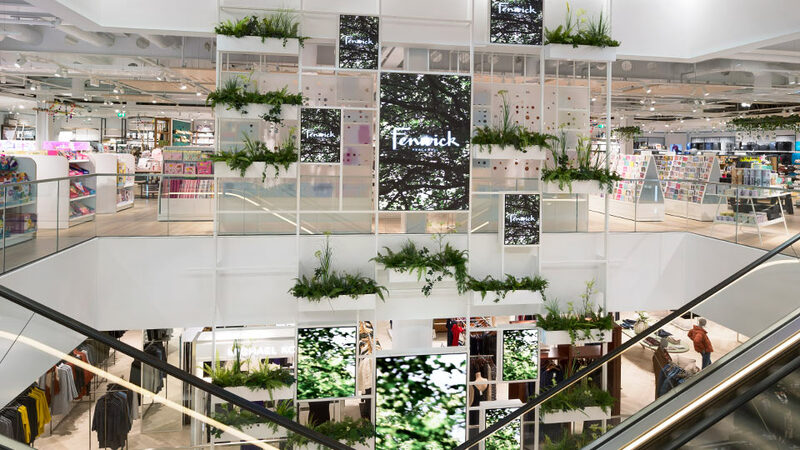 Fenwick has added its touch to the retail hub with a fresh, contemporary department store that takes design inspiration from the town’s surrounding woodland. 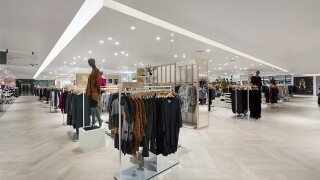 The all LED, low-energy lighting scheme builds on the influence of nature across the store’s three floors. 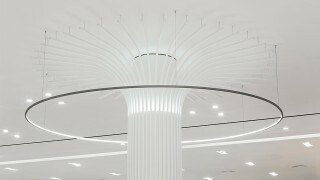 In the beauty hall large bespoke super-slim rings of light encircle tree-inspired columns – illumination is cast towards the pillars and forms a wash of diffuse light. Carefully positioned downlights pepper ceilings with an organic, leaf-like flow and the escalators’ punctuated metal undersides are back illuminated to create the illusion of “dappled” light. In sharp contrast to the crisp, fresh look of beauty is menswear. 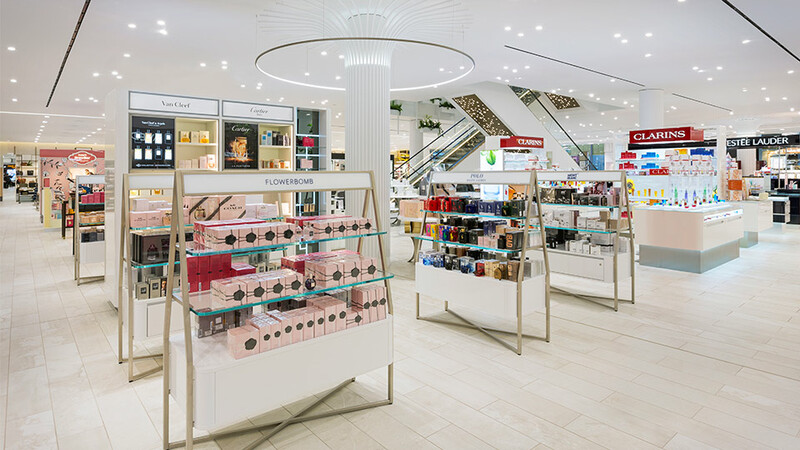 Located at the rear of the store, with a dark palette, the challenge was to draw people into the space, past the lotions and potions. 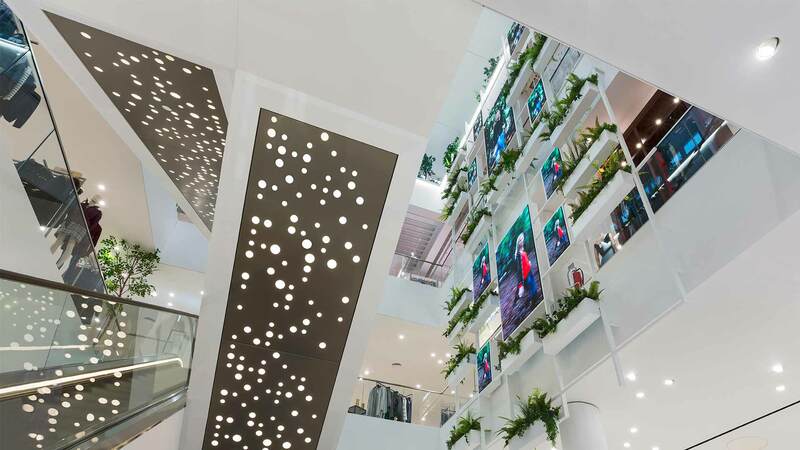 The lighting solution does this through high contrast, which is naturally eye-catching – against the black exposed ceiling and dark industrial vibe the uplighting illuminates the back wall’s perforated detail, and adjustable spotlights bring attention to branded banners. 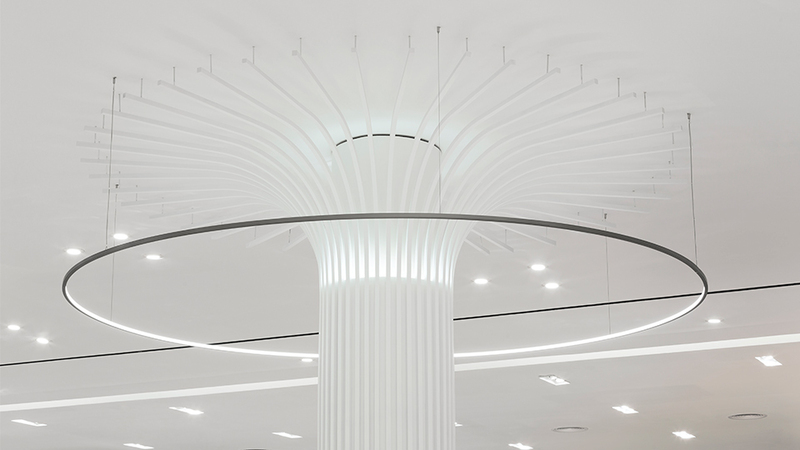 This layered approach creates permeability, drawing the eye to the product. 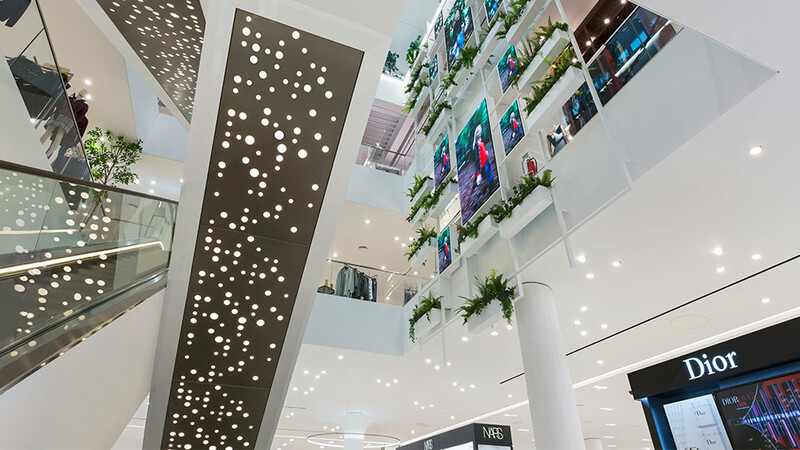 Other lighting design details include a wrap of cove lighting to wash vertical surfaces (for visual interest) and illuminated architectural details within ceilings to define different retail areas. As for the interactive wooden tree in the children’s department, pendant lights fall from the installation’s branches, resembling hanging fruit. 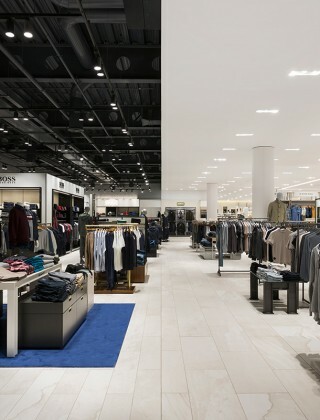 The way the subtle but effective lighting scheme works with the architecture throughout the store, complementing the interior and allowing the merchandise to shine.